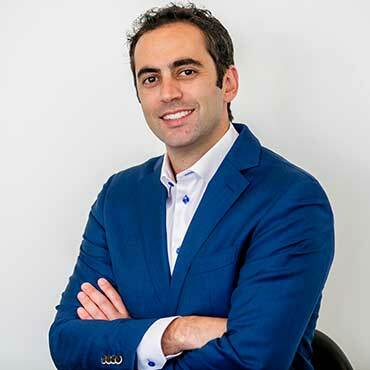 Dr. Amir Davoody received his dental degree from University of Maryland School of Dentistry and his Orthodontic certificate and Master of Dental Sciences from the University of Connecticut. Dr. Davoody is a board-certified orthodontist, a Diplomate of the American Board of Orthodontics, and an active member of the Angle Society of Orthodontists. He was awarded the Thomas Graber Award of Special Merit from American Association of Orthodontists in 2011 for his research on temporary anchorage devices (TADs). He has taken an active role in his profession by serving as a part-time faculty member at the University of Connecticut Department of Craniofacial Sciences as well as staying current with latest advances in orthodontics by attending meetings nationally and internationally. Texas Dental Association and Greater Houston Dental Society. Dr. Davoody is a board certified and an angle orthodontist. What does it mean that Dr. Davoody is a board-certified orthodontist? The American Board of Orthodontics (ABO) was founded in 1929 as the first and oldest specialty board in dentistry. The ABO was established to elevate the standards of the practice of orthodontics, to familiarize the public with its aims and ideals, and to protect the public against irresponsible and unqualified practitioners. The board certification process involves a rigorous set of written and clinical examinations to evaluate the knowledge and clinical skills of the orthodontist. The initial process of becoming board certified can take anywhere from five to ten years, and to remain board-certified the orthodontist has to get recertified every 10 years. Dr. Davoody’s ABO certification signifies his dedication to the pursuit of continued proficiency and excellence in orthodontics. What does it mean that Dr. Davoody is an Angle orthodontist? Edward H. Angle is regarded as the father of American orthodontics. The Edward H. Angle Society of Orthodontists (EHASO) is a prestigious global honor society, developed from the distinguished Angle school alumni organization begun in 1922. The Angle orthodontist journal was inaugurated in 1930 by the Angle Society, as a living memorial to Dr. Angle. Membership into the Angle society is by invitation only after demonstrating academic and clinical excellence and university teaching affiliation. In order to attain full membership, chosen orthodontists have to complete and present publication quality research in addition to three to five exceptional clinical case reports. Dr. Davoody presented his award-winning research comparing differential moments and miniscrews in anchorage control and presented excellent published case reports, in addition to working as a part-time faculty at the University of Connecticut Health Center. He achieved full membership after 2 years. The Angle Society currently has over 660 members (approximately 5% of North American orthodontists and more than 70 orthodontists from countries outside of North America). Members are dedicated to pursuing Dr. Angle’s goals of excellence and advancement in the art and science of orthodontics. Dr. Davoody is one of only three Angle orthodontists in the Houston area and is amongst only a handful of orthodontists chosen in the world. Dr. Davoody’s Angle orthodontist membership denotes his continued pursuit of personal, academic, and professional excellence in the field of orthodontics. Dr. Davoody lives in Houston with his family. In addition to spending his free time with family, he enjoys Tennis, Golf, and Skiing.